Today is "Imagine Day" - the Cricut Imagine World Launch on the Home Shopping Network (HSN). Here is the estimated schedule I copied from the email that was sent out to newsletter subscribers on Monday. Click HERE to go directly to HSN. If you haven't already been to the official Cricut Imagine site you can click HERE to see some videos and read the FAQs. I "imagine" most of my readers have been keeping up to date on all of the information and have decided if they are ready to jump in and get started with this new machine. I am eagerly awaiting the arrival of my machine so I can try out some of the ideas I have been accumulating ever since the machine was first announced. A Gypsy update should be available soon so I can design while I wait! I love this card. How cute! Not planning on buying an Imagine for now. I already have spent too much money on my baby bug, cart, expression and Gypsy. I don't dare ask my hubby for another machine, let alone a $500 one. I will enjoy seeing what everyone else makes with it. With something this expensive, I usually like to wait awhile before purchasing...see how others like it, make sure all the "bugs" are worked out, maybe the price will come down?, etc. I do however think it looks pretty cool. PLEASE OH PLEASE DON'T MAKE YOUR POSTS ALL ABOUT THE IMAGINE!!! You are the last one of my blogs that I read on a daily basis that hasn't gone all "Imagine this, Imagine that" on me! I am not planning on buying one and love all your ideas... if you go over to the "Imagine (dark) side" I'll have no one left to visit daily! I understand what you are saying, this is a big investment and it is true that waiting for the bugs to be worked out and the price to drop is sometimes a good idea. I have been wanting a machine along these lines for a long time and I think that while it may not do some of the things I have in mind just yet, there will be updates and changes. I am looking forward to experimenting with the machine and will keep you up to date with my experiences once it arrives. For the most part, I think the idea is great; however, there's no way I would spend that much money for it. I'll follow what everyone else does with it and get inspiration from that. As much as I would love an Imagine, not only do I not have the money to buy one, but my craft space has no room to put one. If I clutter my space with any more gadgets, I won't have room to create. Yep, that's my answer and I'm sticking to it! I'm not planning on purchasing the imagine either. The cost of the machine and ink...and then new cartridges that work on the imagine but not on the expression..it just becomes cost prohibitive in these economic times. I, too, won't be buying one for all the reasons already posted. I do LOVE your blog and it's one of the first I read - and when someone asks me about Design Studio, your site is the first I recommend. You are so creative and generous with your instructions. Thank you bunches. However, Imagine just turns me off and I don't plan to be reading anything about it. I'll spend that time creating LOs. I have already purchased two baby bugs (gave those to my daughter and d-in-law) and I love my Expression and DS. That's enough for me. I agree with Sherri. IF I do end up getting one, it certainly won't be any time soon. The only thing that would make me consider one is if it can replace my Expression, which means it would have to work with Design Studio. No room (or money) for a second big investment like this machine, so it's one or the other. I think if I was just starting out in the craft business and didn't already own a machine then I would love to own an Imagine. My counter space is packed with a Baby Bug, Expression, Cuttlebug, 2 Xyron's, printer, sewing machine, laptop and a TV. No wonder I'm feeling crowded! I'll just depend on you to keep us updated. As much as I like what I have seen so far with regard to the Imagine I have no desire so far to want one. I am perfectly happy with my expression and I am infact still learning new tricks with that so it is a definite no from me that is at least for a long while to come. I TOTALLY agree with everything that has been said on the other comments. I certainly won't be getting an Imagine any time soon but I will continue to follow your blog as you have given me such inspirations and so many great ideas! You are one talented lady!! and a generous one too! Thanks for sharing all your talent! 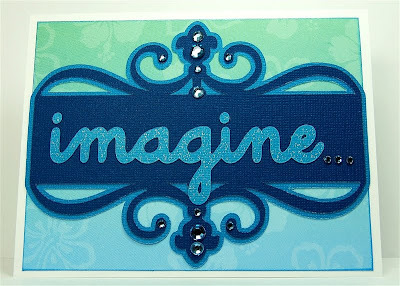 I also have no plans to buy an Imagine machine - I don't buy many printed die cuts because I think they are too busy and limiting - I'm much more into plain cardstock (or glitter, glitz, texture) rather than pattern paper (although it's great for a small accent). This stuff seems way too busy for me. I also hope you stick to more of the regular cricut, cuttlebug, and CM stuff and only accent at times with this new toy. Your style makes your site the first one I go to each morning - thanks for the inspiration. I jumped in and bought the Imagine package last night around 10:30, it was available ahead of time. There were certain things about it that really appealed to me and think it will be a lot of fun. I do have the space, so that isn't an issue. It was pricey, but did come down, and they threw in a couple of extra cartridges. You can use your regular cartridges with it and color the cuts in your own design. I understand everyone's reluctance, I was there, too, but have since changed my mind! Hugs. I don't have a desire for that machine yet. I don't get enough time to use my regular Cricut supplies to invest in the Imagine. I agree that the inks would be expensive. 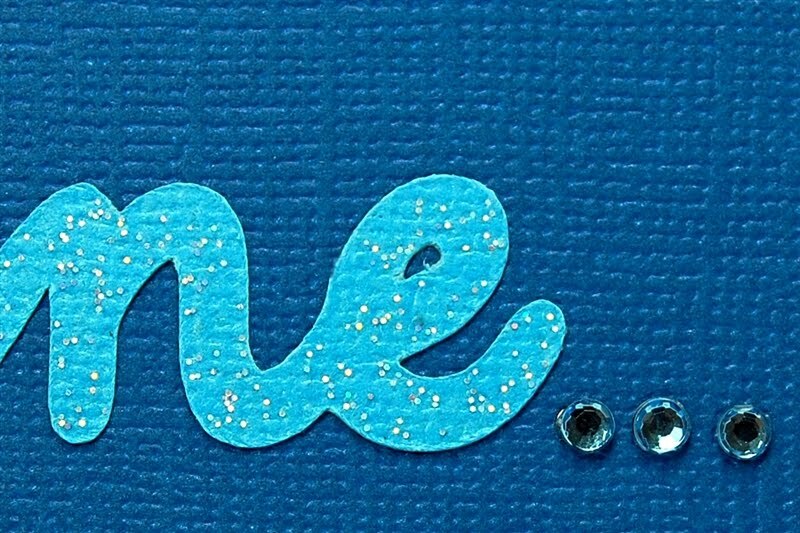 if i had not bought my 'E' i would say yes to this. i sold my baby bug, bought the 'E' and the gypsy, earned my cricut create through cricut rewards. i have over 120 carts. a ton of paper and patterend paper, i guess i have enough to keep me happy. i must draw the line somewhere! Whew! Thanks everyone for your comments. I thought I was the only one who wasn't rushing out to buy the Imagine! Agree w/Amy K. about waiting for the next generation- when they get the bugs worked out. #2- Huge drawback, doesn't work with Design Studio. Also, didn't see anything super cool about the new Cuttlebug. Did anyone else see something I missed? Love the card. I am not planning to purchace an Imagine right now. It is not compatible with Design Studio and I don't own a Gypsy. It doesn't allow welding so I would need to purchase a Gypsy also. Too much expense. Only does 12X12 not 12X24. I'll wait for upgrades.